Cuando usted elige trabajar con Sprung, usted esta eligiendo trabajar con el líder de la industria. Con una experiencia de más de 120 años en el sector, nosotros patentamos la estructura de membrana tensionada hace más de tres décadas. Desde entonces, hemos ayudado a otros negocios, industrias y gobiernos en mas de 90 países a encontrar soluciones a sus necesidades de construcción. Teniendo la oportunidad de ofrecer soluciones permanentes y temporales para satisfacer cualquier necesidad industrial, del almacenamiento o de construcción. Nuestras estructuras de tejidos versátiles continúan funcionando en algunos de los entornos más difíciles y exigentes del planeta. Más allá de proporcionar un refugio para todo clima para equipos e inventario, las estructuras Sprung proporcionan ambientes luminosos, de alto rendimiento y eficiencia energética. Nuestra oferta más versátil y durable es la estructura Sprung, que cuenta con una subestructura de aluminio que supera al acero, una membrana arquitectónica de alto rendimiento que supera cualquier material de estructura convencional y el aislamiento de alta calidad que ha pasado la prueba de algunos de los climas más extremos del mundo. En la industria de la construcción por más de 120 años, Sprung ha construido una reputación internacional sobrepasando las expectativas de nuestros clientes. La experiencia combinada de nuestros cientos de empleados en todo el mundo supera los 1.700 años. Nuestra historia comienza en 1887 cuando inventamos e iniciamos la producción de productos de lona. De una década a otra, el nombre de la familia Sprung es sinónimo de &’93;recintos innovadores&’94; y ha surgido como el líder mundial de la tecnología y soluciones de membranas textiles tensadas. Nosotros somos los pioneros sin igual de las estructuras textiles. Todo inicio en la segunda parte del siglo 19, cuando nuestros antepasados comenzaron a experimentar con técnicas y materiales para crear una lona particularmente resistente para las muros de tiendas de campaña, para cubiertas de carretas, de colchones, etc. Ellos refinaron el proceso para que la tela pudiese hacerle frente a los rigores del nuevo mundo. Las aplicaciones para la tecnología de la membrana textil comenzó a expandirse, así como su demanda fuera del oeste de los Estados Unidos donde Sprung se fundó. Esta enorgullecedora tradición familiar&-y nuestro compromiso con la tecnología, la innovación y la investigación y desarrollo-ha sido pasada de generación en generación. Nadie conoce mejor las estructuras textiles que Sprung. Hoy, Sprung es mejor conocido por la entrega más rápida y de mejor calidad de soluciones para la construcción por medio de sus estructuras de membrana tensada patentadas. Las estructuras Sprung están diseñadas con la ingeniería para adaptarse a casi todos los climas, a todos los requisitos de diseño y a todos los presupuestos. Actualmente, las estructuras de Sprung se usan in cientos de diferentes aplicaciones, en más de 100 países, para algunas de las organizaciones líderes del mundo. Contamos con centros de manufactura y distribución en Norte América y en el Oriente Medio, y oficinas en todo el mundo de manera regional, con soluciones con un contacto personal que los distribuidores en línea no le pueden ofrecer. Con más de 12,000 estructuras en uso, continuamos dedicados a seguir con las soluciones innovadoras para la construcción que de manera consistente ofrecen los Beneficios de Sprung: capacidades rápidas de construcción, flexibilidad total de diseño, durabilidad y desempeño excepcional y costos generales más bajos. This year the Sprung Group of Companies is celebrating 130 years of innovation and customer service. We’ve come a long way but we continue to hold the values from our humble beginnings; hard work, innovation lead to unsurpassed quality and customer satisfaction. We take pride in our history, and we’re pride in everything we do today. In 1887, Philip Dorland Sprung, originally from Belleville, Ontario, came to Alberta with a wave of new settlers. Shortly after his arrival, he partnered with W.A. Deny to build a business which catered to the expanding needs of the booming city. 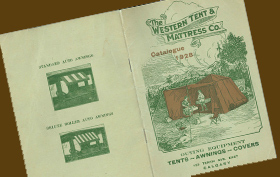 Western Tent & Mattress Co., established in 1887, pioneered the beginning of the Sprung family’s entrepreneurialism in Calgary. Selling to a wide territory, from Western Saskatchewan to Eastern British Columbia, Western tent & Mattress Co. grew quickly. They manufactured tents, teepees, awnings, wagon covers, flags, tarpaulins, camp beds, furniture and blankets in the canvas department while the bedding department sold iron and brass beds, springs, cots, iron couches, pillows and mattresses. Such an extensive product line required vast amounts of floor space, roughly 27,000 square feet, between 3 factories and warehouses. Western Tent & Mattress Co. was regarded as one of the most progressive and reliable business firms in Calgary. 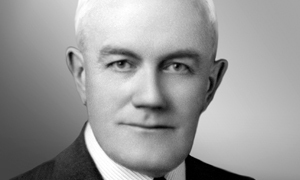 On January 9, 1926, Philip Dorland Sprung, his partner, John Clindinin and Sprung’s son, Donald Allen, founded the garment manufacturing company, Sprung-Clindinin. The original product line started with sport & work wear and eventually included western & winter wear. Each garment was designed and produced in Calgary but the distribution areas included the whole of Western Canada, Alaska and the North Western United States. 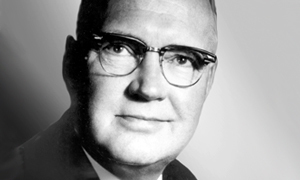 During the early 1950’s Philip Davis Sprung, son of Donald Allen Sprung, left law school to help with the family firm. 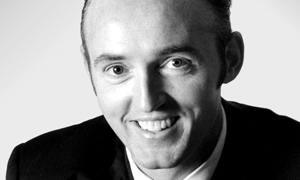 For the next 25 years, Philip Davis spent much of his time driving around the country building up the business. Though Sprung-Clindinin sold many products over the years, none were so popular as their down jackets. Considered to be a staple in chilly environments, the sales of these coats caused Sprung-Clindinin to be one of the largest purchasers of down in North America. By the mid 1970’s, innovations had been made in winter synthetics allowing garments to become more technological. These advances were coupled with an increased demand by consumers for high fashion sportswear. As a result, Sprung Ski Wear was created to fill the niche. Though Philip Dorland passed away in 1958 and Donald Allen in 1981, Sprung Ski Wear continued well into its 65th year under Philip Davis and his daughter Kerri Lynn Sprung, before finally closing its doors in 1991. The cost of manufacturing garments locally was no longer viable in a market place dependent on low-cost overseas labor. In the late 1960’s, Royal American Shows approached Philip Davis Sprung in hopes of convincing him to design a tent that wouldn’t blow down in the wind. Having been in the tent business his whole life, Phil easily saw the value in the proposition. For the next few years, he, along with Harry Lane, employed a wide variety of ideas and materials to eventually come up with the first working prototype of the Sprung Instant Structure, which was erected over Harry’s swimming pool. The framework was composed of glued, laminated timber arches, with exterior aluminum channels attached to the beams. Once erected the whole skeleton was then covered with a custom built and often colorful vinyl membrane. July 26, 1971, Philip Davis applied for his first patents for this invention. The Stressed Membrane Structure. By 1973, the “GluLam” beams were replaced by solid aluminum beams that were considerably lighter and easier to handle. The beams had channels running down their lateral edges, allowing each section of fabric to be pulled into place and tensioned. One skilled technician could oversee a small crew of inexperienced laborers and still manage to erect the structure in mere days. Before long, Sprung Instant Structures operated internationally. As the technology progressed the building garnered a reputation that redefined the ‘tent’ concept. They were utilized for numerous applications such as mining and construction shelters, military storage facilities, sports arena covers, exposition centers and widely in the natural resource sector. A lot has changed since the late ’60s’. The modern Sprung Structure is adaptable to any industry and can be engineered to withstand wind and snow loads and competes with any conventional building. There are a variety of features available including everything from energy savings daylight panels, insulation packages and a multitude of available colors to gigantic cargo doors, glazing walls and bold graphics packages. The allure of the Sprung Structure wasn’t only due to its design, but to its availability. Most structures were shipped from inventory within a week of placing the order. In order to maintain their position as an industry leader, SIS followed a customer-driven business model which resulted in many design innovations. To date, the structures have continued to successfully adapt to a more diverse and demanding global marketplace. 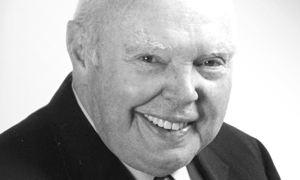 In 2001, Philip Donald Sprung succeeded his father as President of the company. 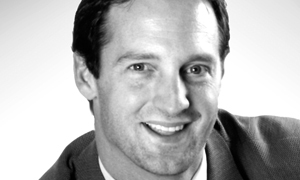 His younger brother, Timothy Earnest Sprung, be came Vice President and Head of International Sales. In 2016 another generation joined the company as Philip Donald Sprung’s daughter Shelbi Sprung and Kerri Lynn Sprung’s son Davis Donald Avery started to working for Sprung. Mas de 12.000 estructuras en mas de 90 Paises alrededor del Mundo. The Western Tent & Mattress Co.
El equipo Sprung puede completar una estructura permanente con aislamiento a una velocidad a de 2000 pies cuadrados (186 metros cuadrados) por día. Las estructuras Sprung están disponibles en anchos de 30 a 200 pies y en cualquier longitud. Nuestras estructuras se han demostrado en algunos de los entornos más exigentes del mundo.